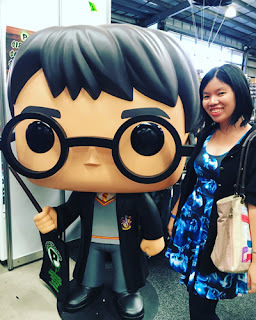 [Book Talk] What Makes a Bookish Romance Ship-worthy? It's been a while since my heart has been set aflutter by a bookish romantic pairing. The most recent one that I can think of is Cress and Thorne's scenes in The Lunar Chronicles, and that was well at the beginning of last year! It's not as if I haven't read any good novels with romantic pairings in it; they just haven't managed to turn me into a shipper. Obviously, I'm not going to ship an abusive relationship. Apart from that, I find that lately I'm put off by love interests who repeatedly declare that they're no good for the other character and that they shouldn't be together. Sometimes, they're right. (A case that comes to mind is Christian Grey). I'm all for conflict and obstacles, but at the end of the day, I want the characters to raise each other up and bring out the best in each other. This is a hard one to talk about, because I haven't been able to put my finger on what makes up chemistry. Sometimes sparks just jump off the page whenever two characters are in a scene together, and that's it! I think maybe a huge part of it is dialogue, but even the wittiest dialogue would come up to nothing if the characters don't work together. Maybe it's the friction and collaboration of the two personalities? What do you think makes for chemistry? What makes you a shipper? What was the last bookish romance that made you swoon? Shoot me some romance recommendations! I definitely feel the same as you - I have to know and like both characters, and they have to be good for each other. But the chemistry is definitely the most important thing, but also the hardest to explain. There have definitely been characters I've read about in books who should have been perfect together, but somehow there just wasn't that spark! I also quite like when characters start off as friends first, and then gradually start to feel more for each other. It just seems like a really genuine way of them coming to realise their feelings for each other, but it may also just be a reaction to me becoming tired of the whole 'hating each other at first, but then realising they love each other' trope. I wish it was easier to quantify that spark! But at the same, I guess part of the fun is not knowing what causes the spark. Omg, Laura, me too! I feel like I'm very much in the minority about preferring that characters be friends first, but as you said, I feel that it is a genuine way of coming to love each other. This is such a good post! SOOOOO TRUE! Your first bullet is the biggest most important one for me. I don't want to read about a relationship just because person a likes person b. I want to read ABOUT person a AND about person b. They are BOTH people! And they should each have their own goals and interests just like in the real world. I agree with everything you said, especially that they have to be good for one another. I've read some books where the characters don't have anything in common or seem to work very well together, but the author shoves them together anyway. Personally, I like it when the characters have secrets or misunderstandings that they have to work out before they can be together. Ooh yess, having secrets or misunderstandings would make for an interesting obstacle! I agree with all of these. I think so many bookish romances are based on relationships that I can't really root for---I hate it when I don't think the main characters are actually good for each other. Agreed - it's the reason I couldn't find Twilight romantic. When wanting to see a guy makes you attempt near-death experiences, that relationship probably isn't that healthy! #2 is a must for me! Especially as I've grown older, have mutual respect and agency in a relationship for me to feel as though I can ship it! I think it comes with personal growth and learning how important those things are as you grow older and experience your own romantic relationships, but I wish it was a message that was pushed more widely across romance books, especially in YA! I think you're right that it's a priority that comes with being older. When I was younger, romance seemed like it should be fiery and feet-sweeping more than anything else. I hope it'll be a theme that crops up more in YA soon too! "I want the characters to raise each other up and bring out the best in each other." THIS. The relationships that have stuck with me, long after reading, are because the characters were better for knowing one another.